Roger Federer went through round-robin play at the ATP Finals undefeated for the 10th time as he returned to haunt Marin Cilic with a 6-7 (5), 6-4, 6-1 win at the O2 Arena on Thursday. The outcome didn't really matter, though. 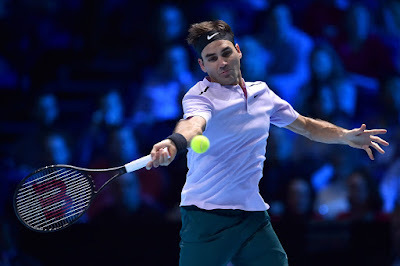 Federer had already advanced to the semifinals at the season-ending tournament by winning his opening two matches at the O2 Arena, while Cilic had already been eliminated. Federer, who beat Cilic in straight sets in the Wimbledon final in July, had four break points in the first set on Thursday, but he couldn't convert any of them. That allowed Cilic to take the lead when he landed a backhand drop shot and then a forehand to close out the first-set tiebreaker. Cilic is ranked No. 5 in the world - achieving a goal he set for himself at the end of last season. At the ATP Finals, however, the Croat has won only once in nine matches over three appearances at the round-robin tournament. "Even though it's three losses, I felt that my tennis wasn't too far off of playing really, really well. Good positives at least in that. Hopefully I'm going to recover good and start a new season on a good level," Cilic said. In the semifinals, Federer will face Dominic Thiem or David Goffin. Both have 1-1 records in the other group and meet Friday to decide which player will advance along with Grigor Dimitrov. Federer leads his ATP Head to Head series against Goffin 6-0, but the Swiss trails Thiem in their rivalry 1-2, although all three matches took place last year. 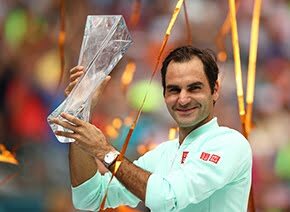 Federer, the 19-time Grand Slam champion who won his record eighth Wimbledon title, is looking to extend another record for titles at the ATP Finals. 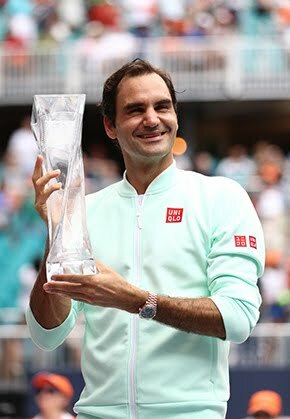 The 36-year-old Swiss has won it six times; twice in Houston, twice in Shanghai and twice in London.